I don’t look at this page much. If you have had recurring dreams about falling from a tower, you might want to give this entry a miss as well. I won’t mind. 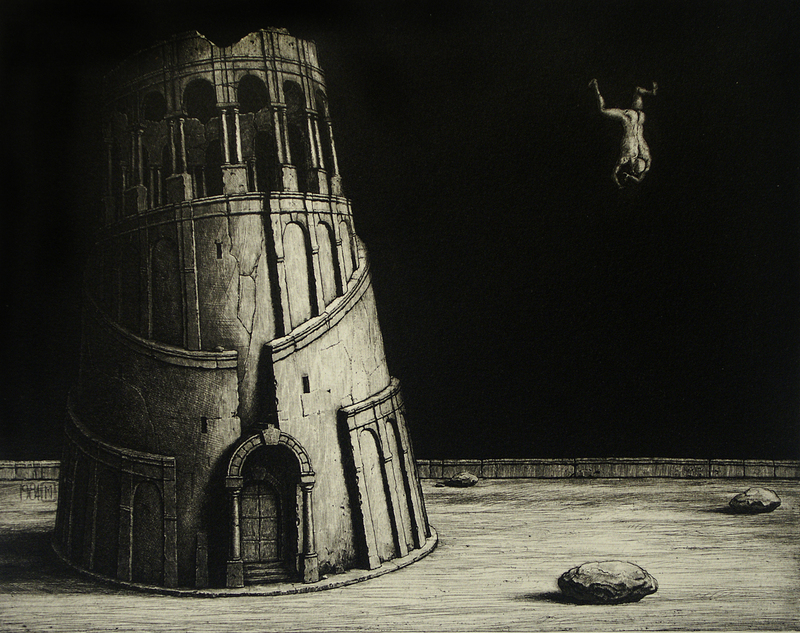 Neil Moore’s etching of the Falling Man. This was more like the wooden tower in my dreams. 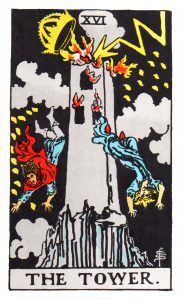 (In divination) The Tower is commonly interpreted as meaning danger, crisis, sudden change, destruction, higher learning, and liberation. In the Rider-Waite deck, the top of The Tower is a crown, which symbolizes materialistic thought being bought cheap. Reversed it means you’ve overcome and can learn from obstacles, a volatile situation, losses (in love) and illness. Under certain conditions it is possible to experiment with archetypes, as my ‘astrological experiment’ has shown. 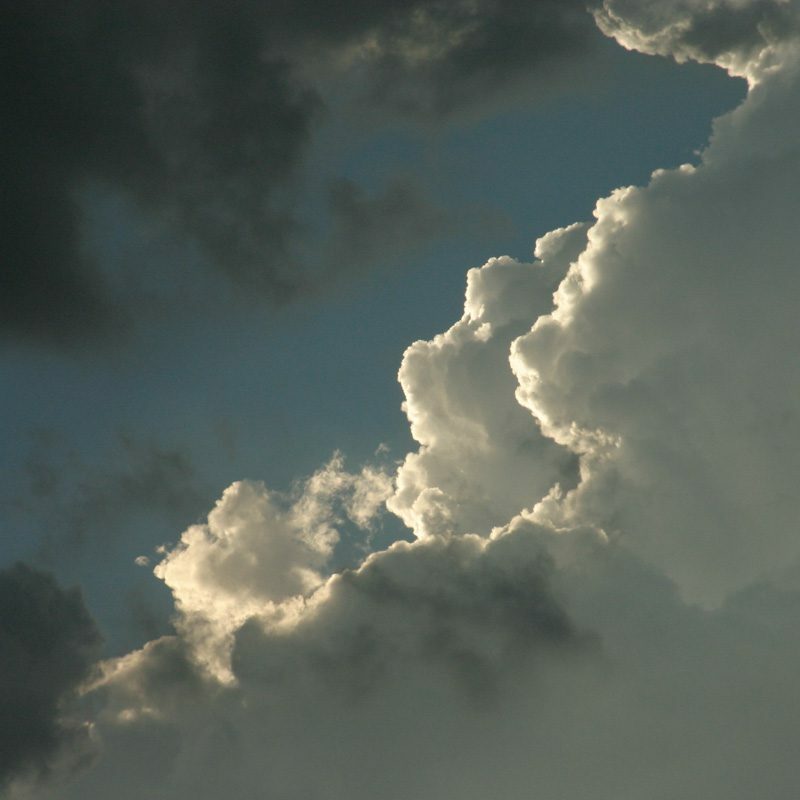 As a matter of fact we had begun such experiments at the C. G. Jung Institute in Zurich, using the historically known intuitive, i.e., synchronistic methods (astrology, geomancy, Tarot cards, and the I Ching). But we had too few co-workers and too little means, so we could not go on and had to stop. I’ve always noticed that while reading Jung, I had Jungian dreams. When my first marriage ended I was very disturbed when I went out my front door and found a dead dragon. It was brilliantly coloured, gold scales glittering, just lying across my path. It had been flattened, run over by a car. I woke up crying. 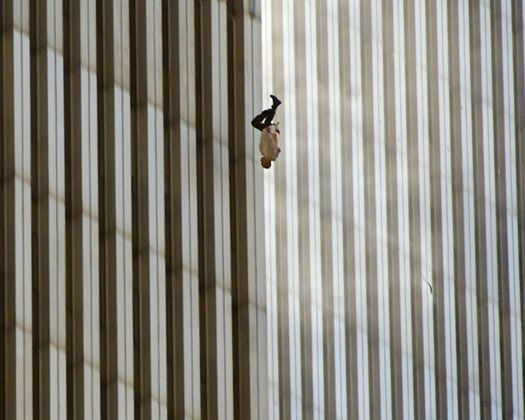 \Much later, the Twin Towers and 9/11 gave me a new set of nightmares. The images of falling workers was chilling as we awoke and turned on to the television news, but they were quickly censored as the day went on, the story below explains why. Our concern was for our daughter Aurore on a student exchange in the US, who had visited the Twin Towers days before. All flights were cancelled and ‘America was under attack’. Then back in her Seattle High School, they went into lockdown and the school cleared the old nuclear bomb shelters in the following days. We talked about how we could get her home.